Biocept said today it will partner with University of California San Diego (UCSD) Medical Center on a clinical validation study of the company’s PD-L1 assay for patients diagnosed with non-small cell lung cancer (NSCLC). Under the collaboration, whose value was not disclosed, Sandip Patel, M.D., an assistant professor of UCSD School of Medicine, will lead a 100-patient study designed to clinically validate Biocept's Target Selector™ PD-L1 assay. The assay will be evaluated using the two common antibody clones for PD-L1 detection, 28-8 and 22C3, both of which have potential to offer high biomarker detection rates using liquid biopsy. PD-L1 immunohistochemistry (IHC) on tumor tissue is a companion diagnostic for anti-PD-1 directed therapies in NSCLC and bladder cancer, and can predict response to immune checkpoint blockade. 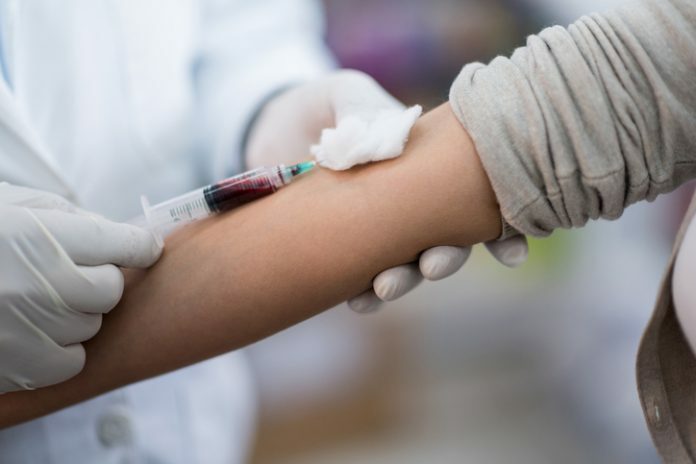 By pursuing detection of PD-L1 via liquid biopsy, Biocept said, it hopes to overcome several challenges associated with detecting tumor PD-L1 status via tissue biopsy. These challenges include minimizing patient risk from a tissue biopsy, and providing a snapshot of the dynamic tumor landscape while avoiding avoid biopsy selection bias. Another challenge, the heterogeneity of tumors, may result in biopsy samples that do not reflect actual PD-L1 expression of the tumor under study, the company added. “To date, primarily tissue testing has been available to assess PD-L1 status, and this study attempts to broaden the use of liquid biopsies to encompass PD-L1 scoring, which is crucial in determining whether immunotherapy may be appropriate for a patient in a given disease setting,” Dr. Patel said in a statement. The validation study’s primary endpoint will be concordance between tissue biopsy and liquid biopsy for the detection of PD-L1 protein expression, Biocept said. The study’s secondary endpoint, the company added, will be the correlation between treatment response and PD-L1 status as detected using liquid biopsy. Biocept expanded its liquid biopsy offerings into immuno-oncology in May 2016 when it commercially launched its PD-L1 protein expression test. The CLIA-validated test uses Biocept's proprietary, patented Target Selector platform with circulating tumor cells (CTCs) from a patient's blood sample, with the goal of detecting and monitoring PD-L1 protein expression throughout the course of a patient's cancer therapy. The PD-L1 test was developed by Biocept researchers in collaboration with David Rimm, M.D., Ph.D., of Yale University School of Medicine, a scientific advisor to Biocept. Since then, Biocept launched a collaboration with Shilpa Gupta, Ph.D., of the University of Minnesota to assess Target Selector’s detection of PD-L1 and androgen receptor expression in patients diagnosed with bladder and prostate cancers. The company earlier this year granted rights to Oregon Health & Sciences University to commercially offer Target Selector services exclusively throughout Oregon.